Everyone dreams of a bright, healthy looking smile. Simple and effective teeth bleaching by Dr. Nugent has helped Pasadena Texas patients unlock their full smile potential. Along with regular oral hygiene, preventative cleanings and daily home care, tooth bleaching may be something you would like to consider to further enhance your smile. Dr. Nugent can help you determine which cosmetic solution is right for you. For example, if you have crowns or tooth-colored fillings placed in your front teeth then teeth bleaching will not change the color of those materials. However, if you have no dental restorations in your front teeth then teeth bleaching is a no-brainer! 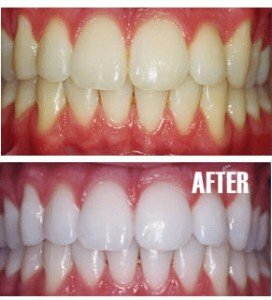 Dr. Nugent uses at home teeth bleaching trays to get his patients a dazzling youthful white smile. Impressions are taken in order to fabricate small flexible trays. You are instructed on how to place the bleaching solution and the length of application. Most patients will achieve their optimal teeth whiteness in 1.5 to 2 weeks. Once this ultimate whiteness has been achieved you will stop bleaching. Then in 6 or 9 months you can “touch up” your bleaching to maintain your ultimate smile. At home teeth bleaching is the most economical choice. In office laser bleaching systems do work. 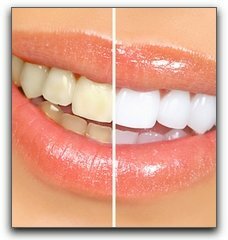 However, it is painful, expensive and patients still have to use at home bleaching trays to get to their ultimate whiteness.